I continue to be a real fan of this company. 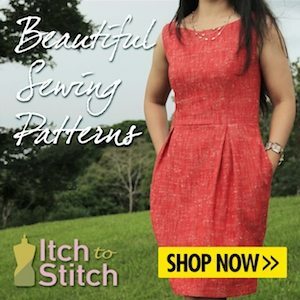 Pattydoo provide great patterns at an incredibly low price that are well drafted for everyday wear, and are easy to make. The Marie Dress is no exception. 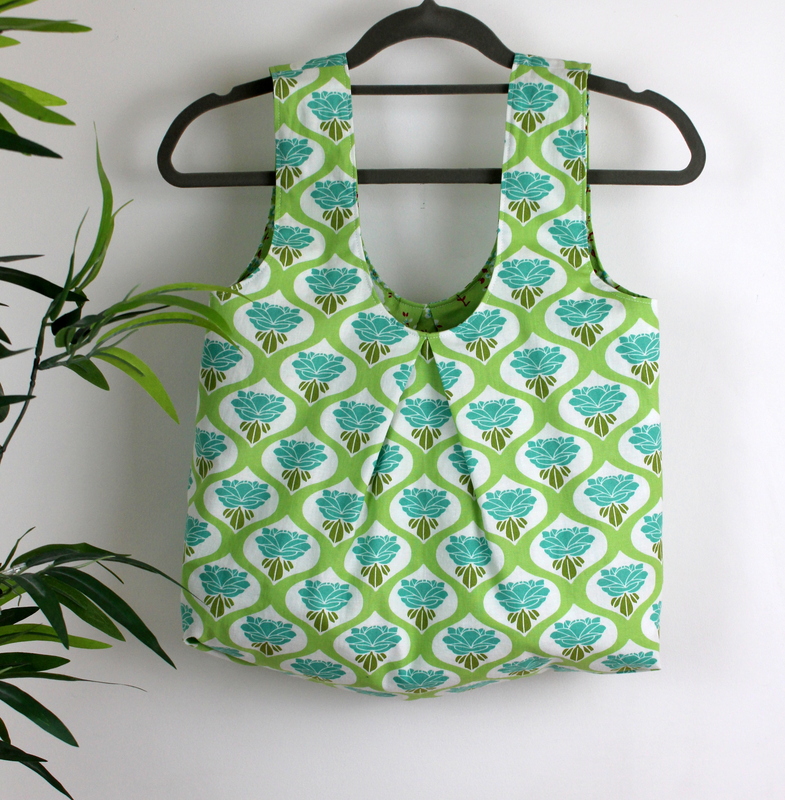 This is a fairly recent addition to their pattern collection, and it’s beautiful. It is only available on their German site (ie – it’s not written in English), but it is still really easy to understand with a little help from Google Translate and the brilliant YouTube Sew-along tutorial video. Whilst the video is spoken in German (I don’t speak German), the visuals and on-screen prompts enable you to easily understand what is happening. It’s only 3 Euros for this download, which is such good value, and what is more, I only needed 1 metre of fabric for my dress! Such a budget make all round! 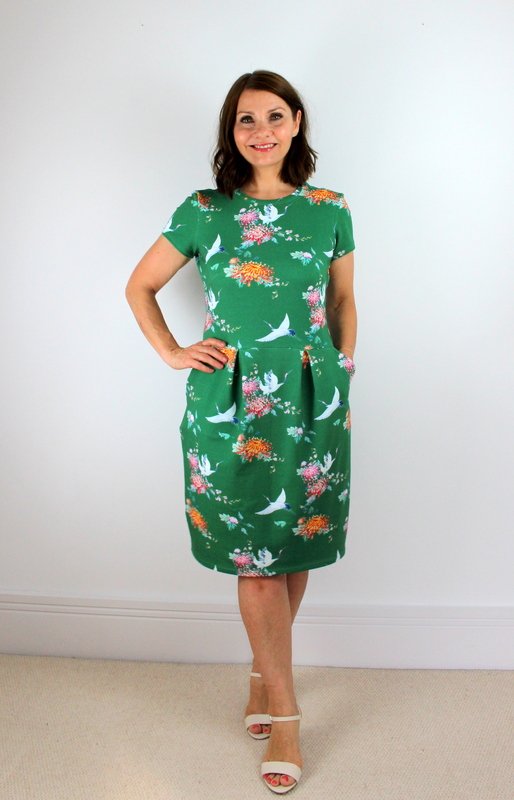 The good news just keeps coming – the dress comprises of only two pattern pieces, it really doesn’t get much better than this! They are rather peculiar looking, and it was fun to see how they fitted together. My fabric choice is a scuba which I picked up on eBay. I’m not totally happy with it – it’s not as vibrant as I was expecting IRL and I don’t think that the colours suit me that well either. Hey ho! That being said, scuba fabric is perfect for this dress. One of these days I will get myself a colour consultation from a professional so that I will always know which colours to reach for. Because there are only two pattern pieces, this comes together really quickly. The princess seams front and back create soft flattering pleats which create a pretty shape over your hips. 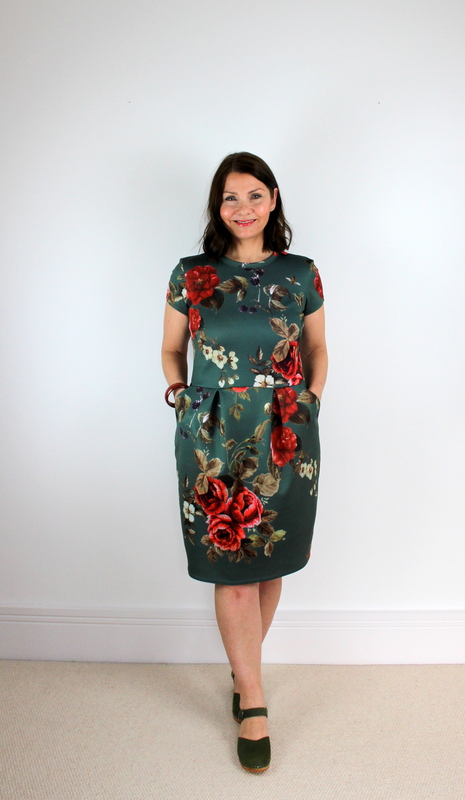 I have a curvy figure and find that the pleats have just the right amount of body to them so as not to exaggerate an area that I don’t want to add width to! The princess seams and pleats are a feature of the back of the dress too and fall in just the same manner as at the front. Oh, and there are no fastenings for this dress. Pop it on and off over the head. 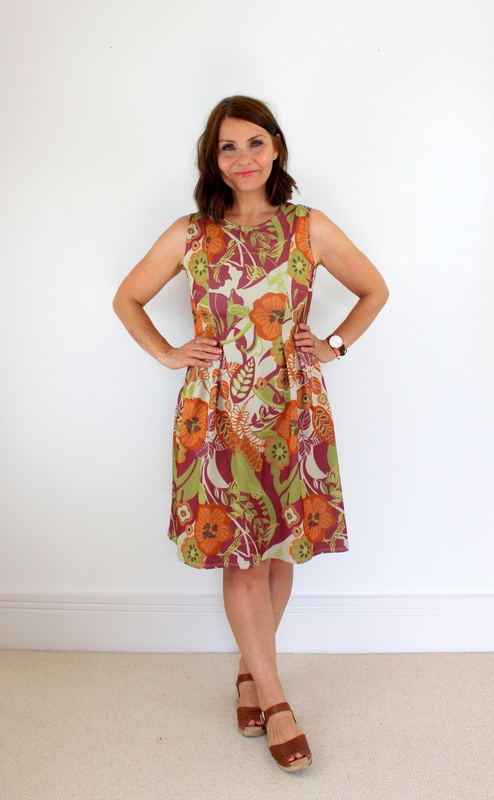 The pattern has a slightly curved hem, and this was the only alteration that I made. I cut the hem straight across so that it has a completely horizontal hem line now, just my preference. So, the neckline and arms are finished by simply turning under and sewing with a double needle. There are no facings or bands, but it would be simple to create these if you so wished. I will perhaps make a neckband for my next version. I must admit, I would prefer if this dress had sleeves. I’m keeping my fingers crossed that perhaps at some point there will be an expansion pack with some sleeves for this, and maybe in the meantime I will try to have a go at drafting my own as I think this style is a little too severe for me, and think I would wear it more if it had short sleeves. I also think the neckline sits a little too high for my taste. Not sure.